x-CIA Officer, Suspected of Outing U.S. Informants in China, Is Arrested Yesterday, January 16th 22:11 Jerry Chun Shing Lee faces charges of unlawfully retaining classified information. Officials say he is suspected of providing information that helped Beijing identify U.S. informants in that country. President Donald Trump hosted Kazakh President Nursultan Nazarbayev at the White House on Tuesday, the first visit by a leader of Kazakhstan since 2006. 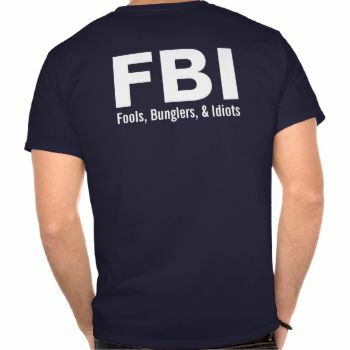 “FBI”, which stands for “FOOLS, BUNGLERS, IDIOTS”, are the “showboats” and the perfect robots. Handcuffs are the solution to the FBI problems! Fire the nincompoops and put them in prison!